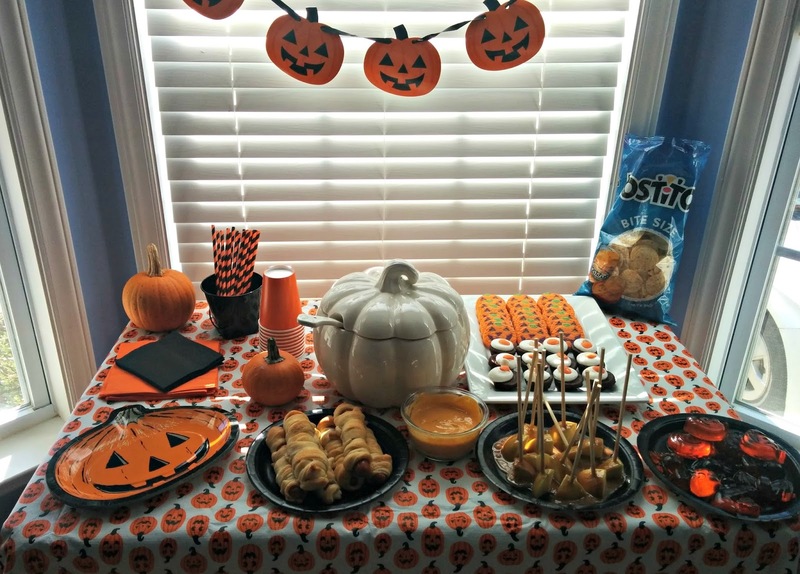 Cloth Diaper Revival: Fall Pumpkin Party! With the adoption process taking up so much of our time these days, we decided we needed to have a little fun and let our 4 year old know that we hadn't forgotten about him! So we invited some friends over for a Pumpkin Palooza Party! I must be crazy because I planned this party the same week that our adoption home visit was to take place. I wanted to do a deep clean before the social worker came, but first we had to make a huge mess with lots of kids and pumpkin guts! Before the party, I stocked up on lots of pumpkins for carving, cleaned the house up for our guests, and whipped up some delicious snacks for everyone! When everyone arrived, we enjoyed our party food! 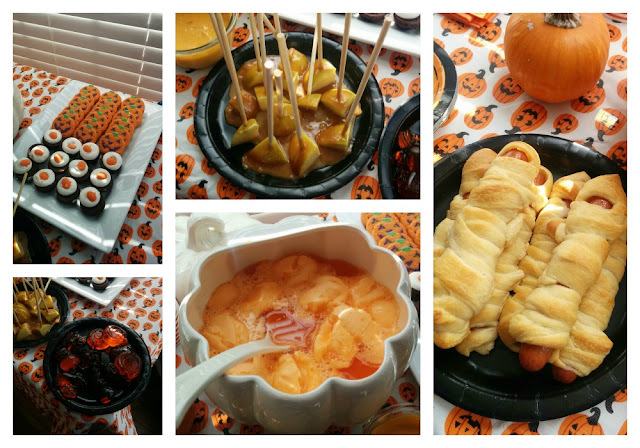 The kids loved the themed snacks and what's a party without a yummy punch? Then, we left the mess inside and headed outside carve the pumpkins! Tip! 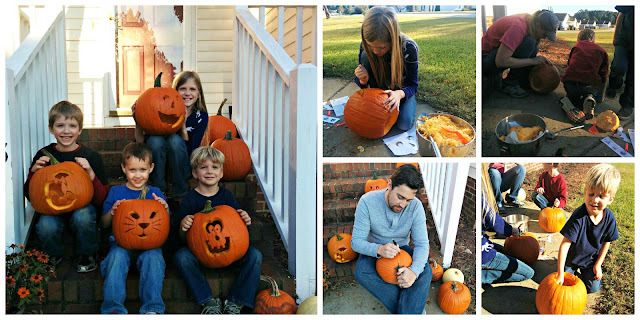 If you want to host a pumpkin carving party with lots of kids, be sure to have lots of adults to help too! The kids loved picking out their designs and getting messy with the pumpkin guts! Okay, so not everyone loved the pumpkin guts. I pretty much did all the work for my 4 year old, but we still had fun! 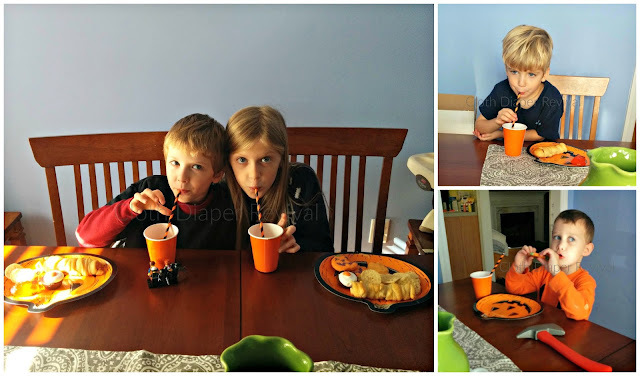 Once the pumpkins were carved and the food was devoured, it was time for clean up! Thanks to Mr. Clean Concentrated Clean, it took me no time to get my house back in normal shape so I could focus on my deep clean for the home visit. I spent the rest of the week scrubbing baseboards. In the 4 years we've lived here, I've never scrubbed them...gross! 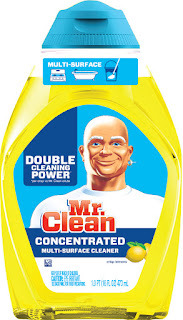 But Mr. Clean made it easy and almost effortless! To win, enter on my Facebook page! You must be local to the Raleigh, NC area to win. Giveaway ends Wednesday, October 28th at 9:00 pm ET. Thanks Mr. Clean for such a great party with friends and for a spotless house! You win for being adorable hostess of the year! Love all your table decorations.